Rocco is Professor and Head of Civil Engineering at the Flinders University of South Australia, a position that he took up on 1st July 2014. As a part of this leadership role he manages numerous research projects and teaching programs at the undergraduate and postgraduate level. His research interests include the use of the Global Positioning System (GPS) for transportation applications (PhD Thesis, awarded May 2002). This research work has mainly involved real time applications with direct links into a Geographical Information Systems (GIS). In this way positional data obtained by GPS can be displayed and analysed in real time. During the course of the work many research projects and consultancies have been undertaken in a wide variety of applications. 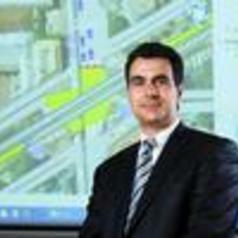 Some of Rocco’s more recent work has involved the assessment and investigation of the environmental impacts of various transport policy initiatives.